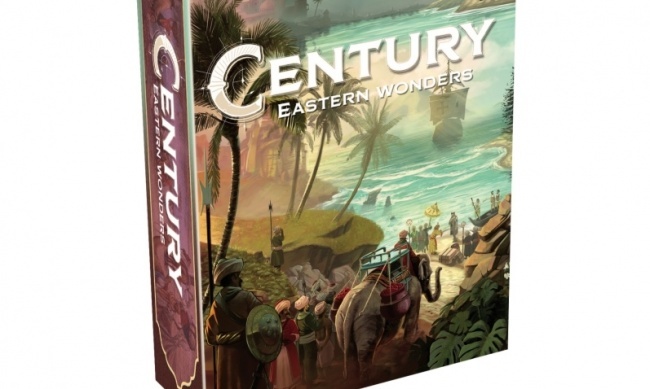 Plan B Games has announced the second title in its Century trilogy of games: Century: Eastern Wonders will release at Origins 2018 on June 13. Century: Eastern Wonders picks up where Spice Road leaves off, and continues to explore the history of the Asian spice trade (see “First Title From Plan B Games”). 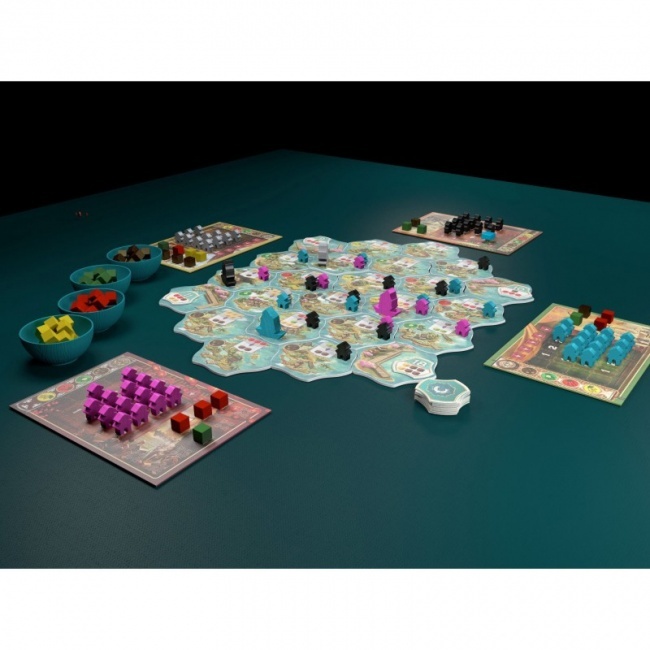 Created by the same designer, Emerson Matsuuchi, Eastern Wonders focuses on the “Spice Islands” of Indonesia, with players taking on the role of merchant seamen sent from Europe to explore the islands and establish lucrative trade routes. Players will establish outposts at various Indonesian islands, trading goods to increase their value and earning upgrades for their ships. 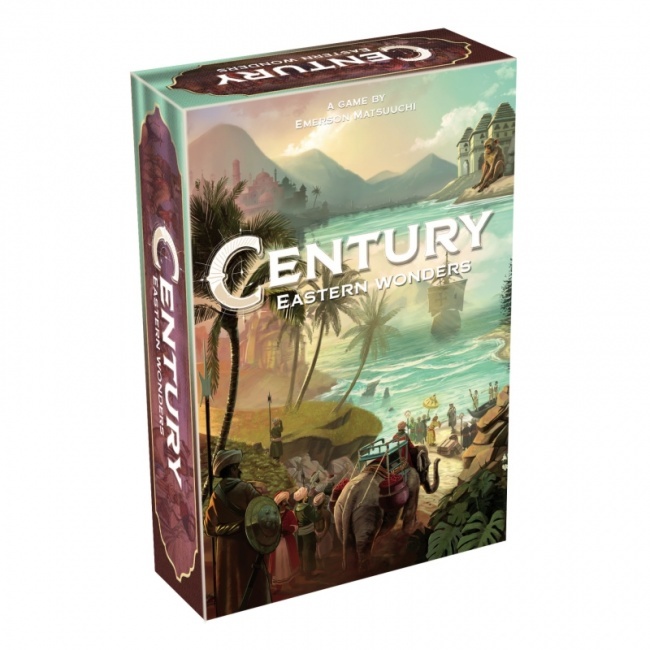 Century: Eastern Wonders was designed so that it can be played on its own, or combined with the original Century: Spice Road to create an expanded game called From Sand to Sea. The game is intended for 2 to 4 players, ages 8 and up, and takes about 45 minutes to play. The game comes with 79 tiles, 4 player boards, 4 wooden boats, 80 outpost pawns, 105 wooden cubes, and 4 plastic spice bowls. MSRP is $39.99.